Dental sealants have held a common place in preventative dentistry services for the last 20 years. While sealants are beneficial for anyone looking for cavity protection, the sealants are most often applied on children to give an added layer of protection to help combat cavities. When the sealants are combined with proper oral hygiene and other preventative measures, they are effective for protecting the teeth from cavities. At LIC Dental Associates, we provide sealants to our young patients to help promote better oral hygiene for a beautiful smile. Sealants involve placing a protective barrier on areas of teeth that are prone to cavities, such as on the back molars. Using a special sealant material, the protective barrier is applied to help reduce the risk for tooth decay. While anyone can benefit from sealants, the American Academy of Pediatric Dentistry recommends sealants are placed on children around the age of 6, but they can be placed on children younger and older. By using the sealants, research shows cavities can be reduced by as much as 86 percent within the first year and an additional 58 percent during the first 4 years. When sealants are applied to the surface of the teeth that are most prone to cavities, the ability to eat isn’t affected. In addition, the safe and durable material used to seal the teeth is the same color as enamel, so the sealants aren’t noticeable while they work to protect the teeth. Using a simple, noninvasive procedure, you can give your children an added layer of protection using a dental sealant. The process of applying the sealant is very simple. Prior to applying the material, the tooth will be cleaned and examined to ensure it’s healthy. Then, the tooth is dried and a special material is placed onto the tooth and then rinsed off to allow the sealant to be used. Finally, the sealant is placed on the tooth and a special light is used to harden the material quickly. There’s no need for anesthesia. The safe and simple procedure is great for patients of all ages who need an added layer of protection to fight cavities. While the sealants are durable, we will need to check the sealants at routine appointments to check for any areas of damage. If damage has occurred, we can quickly fix the sealant to restore its ability to protect the tooth. LIC Dental Associates offers advanced services for both cosmetic and family dentistry needs. Using the latest innovations and technologies, we’re able to deliver the most comprehensive care possible, even for the youngest of patients. 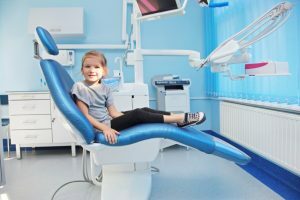 As a reputable dentist in Long Island City, we know that great oral health begins early, which is why we offer the preventative services of sealants. We’ll help give your child a lifelong healthy smile by protecting their teeth from cavities before a problem develops. Invest in your child’s oral health with dental sealants from LIC Dental Associates. Call today for an appointment.